the weather tonight makes me feel like i feel in early autumn, as summer fades from my fingertips and a chill crawls around my shoulders. it feels like new endings and old beginnings, like the things i’ve done a thousand times and still fear, like worn wood splintering into bare feet. i stand outside and count the stars, drawing lines with my eyes to connect constellations, most of which i make up. i am antsy, unsettled, worried. i feel churned, turned, spun around. Something is happening, energy is vibrating, and i can’t pin down the source. the universe is unsettled, like shaken oil and vinegar, bubbling through itself to find it’s higher ground. the world turns itself over and over, looking for a side that feels right, a place to settle in, comfort. my pillow cradles my aching head, full of sharply edged questions. The buzzing buzzes and drones drone as the world moves on in it’s chaotic spiral. The constant background noise of our lives, the hisses and hums and lights and clocks lulls to sleep. we are here, along for the ride, floating with the beasts as we try to make sense of our fortunes. it ends somewhere, and the universe, space and time will be here longer than we ever could be, holding on to what comes next. we worry and wander, seeking answers that were never ours to know. we try to find the worms living under the rocks, staying in the cool, keeping to the shade. too timid to ask the real questions, we stay low and try hard and keep quiet. the inside quakes, unable to handle all of the truths at once. the shell stays steady, a start to something new. shaken and scared, it’s hard to trust,and almost impossible to believe. forward with faith into the cosmos we float, the winds change as the future shifts and all moves closer to being one. but the darkness scurries in. nowhere to run but into the storm. 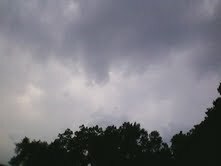 with each growing growl of thunder. gain – inspired by photo below, for Blue Bell Books short story slam. the morning rose early, with wild green grass and tiny buzzing insects looking for a snack amongst the gathered crowd. the heat had yet to settle in, the dew was almost chilly. a breeze timidly moved in this was the day of the floating. the magical moment of beauty, the highlight of the summer in Alexander, Maryland. this is what they waited for. 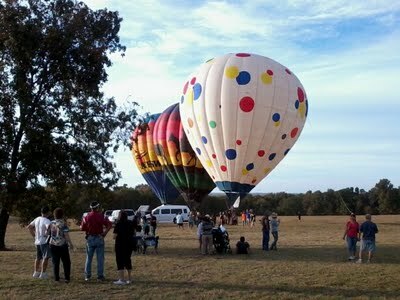 lovers snuggled and old men drank coffee near hot air balloons that looked like wonder bread bags. excitement rose in the air against the august heat, which had come out of it’s hiding place and settled, like a blanket, upon the shoulders of the gathered people. something was finally about to happen. nothing ever happened in Alexander. the mayor had won a contest, had written an essay that had gotten the tiny town the honor. 3 balloons were going to launch from the high school football field, and fly above town. passengers in the balloons included the mayor himself, and 6 raffle winners. they were allowed to bring cameras but not cell phones. all were excited, some were scared. this was an Adventure. once they landed, on the same field, surrounded by townsfolk clapping and hooting, the riders stepped out. they had seen the world from a new distance; each individual underwent dramatic, unspeakable changes. they understood. on that day, they became a larger part of the world. prove i should be alive. the point where you can see. the world deserves to know. and i’m sure it’s because she knows i need them. when my mind is blank. what i need to keep myself in this world. i’ve gotten a hug from 20 years ago. they smell like a funeral. sensation – sentiments are strong.